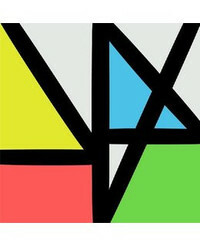 New Order is a British new wave and post-punk band that has helped shape the Madchester. The band performed in the footsteps of Joy Division, whose members had agreed at that time, no longer appear under this name if a member should leave the band. When in May 1980, the former lead singer Ian Curtis committed suicide, replaced the three remaining band members out of respect its promise and regrouped under the name New Order. New Order are an English rock band formed in 1980 and currently consisting of Bernard Sumner, Stephen Morris, Gillian Gilbert, Phil Cunningham and Tom Chapman. The band was formed in 1980 by Sumner (vocals, guitars, keyboards and synthesisers), Peter Hook (bass and vocals) and Morris (drums, electronic drums, keyboards and synthesizers) – the remaining members of post-punk group Joy Division, following the suicide of vocalist Ian Curtis – with the addition of Gilbert (keyboards, synthesizers and guitars).